Catching up with the reclusive Arizona-based artist, whose three-city retrospective opens this summer. 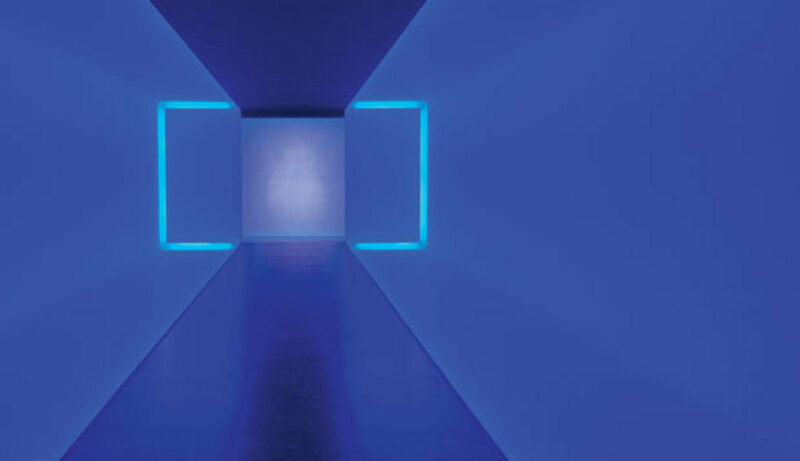 Courtesy James Turrell, The Light Inside, 1999, neon and ambient light; the Museum of Fine Arts, Houston, gift of Isabel B. and Wallace S. Wilson. © James Turrell. James Turrell is a hard man to reach, and not just because he lives near the remote Roden Crater in rural Arizona, which he bought in the late ’70s and has spent much of the time since transforming into a gigantic work of art and naked-eye observatory. Houston gallerist Hiram Butler started selling Turrell’s prints and drawings in 1981, and it took over a decade of unreturned phone calls and unanswered letters before he finally met the artist following a rare lecture Turrell gave at Rice University. With near-simultaneous career retrospectives opening this summer at the Museum of Fine Arts, Houston, the Los Angeles County Museum of Art, and New York’s Guggenheim Museum, Turrell is busier than ever. (The crater-slash-observatory, alas, is still under construction and closed to the public.) When we finally reached the artist by phone, he was visiting the Academy Art Museum in Easton, Maryland, which is staging its own exhibition of his work. Turrell said the idea for the simultaneous retrospectives originated with the late Peter Marzio, the long-serving MFAH director. Although Marzio died in 2010, his spirit informs the MFAH retrospective. The works on display—ranging from Turrell’s geometric light projections of the late-1960s to the spectacular End Around (2006), a ganzfeld, or “complete field,” which envelops the viewer in an apparently infinite expanse of light—all come from the museum’s permanent collection and were acquired under Marzio’s leadership. The Houston museum’s best-known work by Turrell is the kaleidoscopically colored underground tunnel linking its two exhibition buildings. Called The Light Inside, this visitor favorite also provided the name for the exhibition. 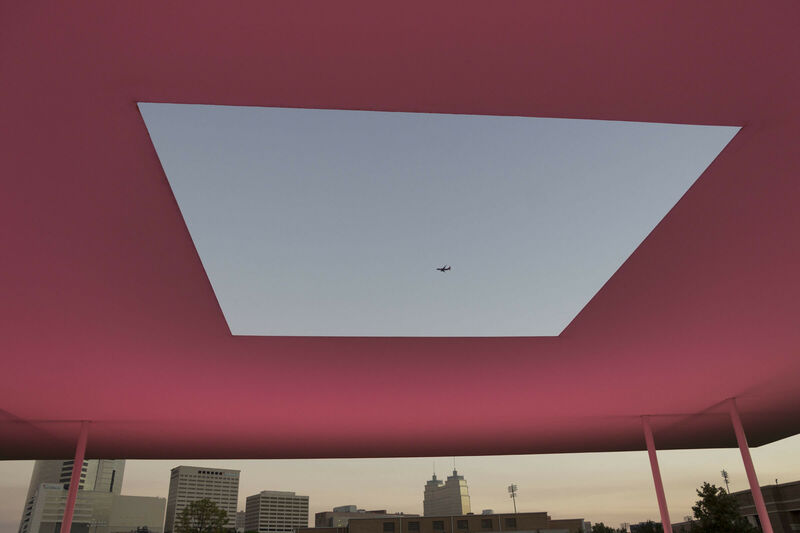 In addition to the MFAH collection, Houston is home to two of Turrell’s signature “skyspaces”: the Live Oak Friends Meeting House in the Heights and Twilight Epiphany, which opened last year on the Rice campus. 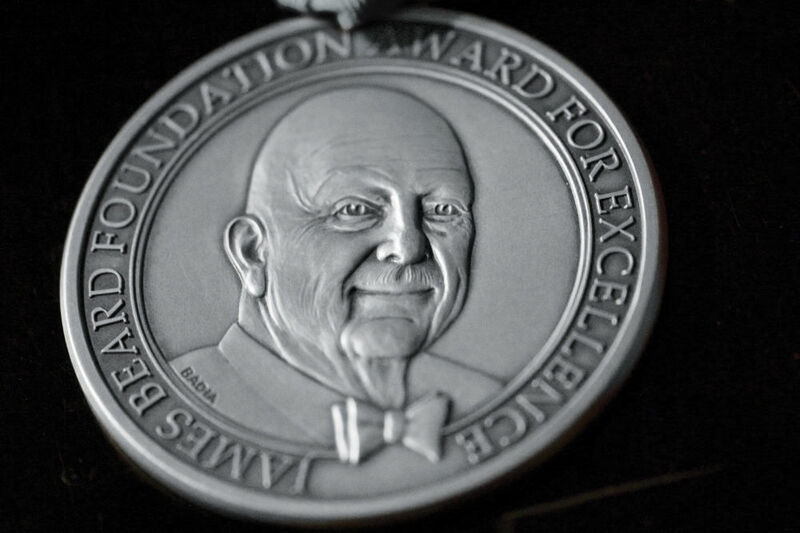 You might say that the artist, who was born in California and lives near his crater in Arizona, has thus earned the status of honorary Texan. When asked whether Houstonians have been supportive of his art, Turrell laughed.